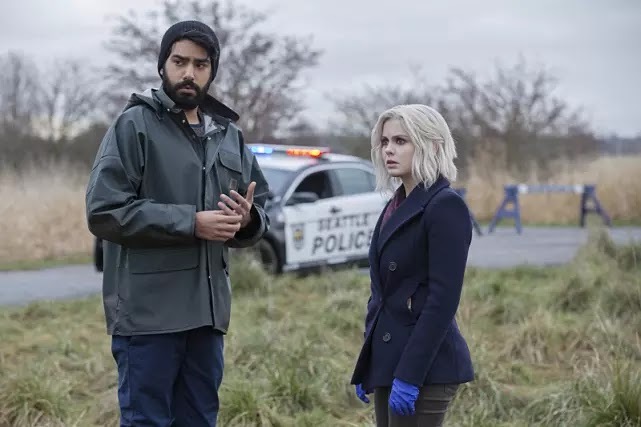 LIV CONSUMES PATHOLOGICAL LIAR BRAIN — Liv (Rose McIver) and Detective Babineaux (Malcolm Goodwin) investigate the murder of Corey “Big Fish” Carp, who they learn got his nickname not because of his last name but because he was a well-known pathological liar. Ravi (Rahul Kohli) makes an unsettling discovery and Blaine (David Anders) is reunited with someone from his past. Meanwhile, Major (Robert Buckley) finds himself in a precarious situation. Which of the men in Liv's life will be a casualty of the war on zombies? iZombie is new Tuesday at 9/8c on The CW!